The topic of death is usually avoided, except when we remember our dearly departed on All Saints’ and All Souls’ Day. But with death, estate taxes must be settled, and this will be the main focus of my discussion in this blogpost. When someone passes away, loved ones left behind are usually overwhelmed with emotions and are unable to do anything. I know this from experience. But, there are certain things that need to be done, like making arrangements for the embalming, the wake, the casket, the interment or cremation, the burial plot (incidentally, there are a lot of foreclosed memorial lots for sale inside our database) and the gravestone, among others. And of course, someone has to take care of the estate tax. Note: For the rest of this article, we will use the terms “decedent” or “deceased person” to refer to the person who died. 2 What is Estate Tax? 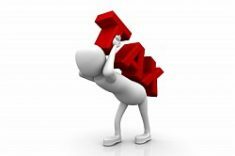 6 What are the Estate Tax rates? 8 When is an Estate Tax return required to be filed? Estate tax is imposed on the transfer of the net estate, which is the difference between the gross estate (as defined under Section 85 of the Tax Code) and allowable deductions (under Section 86) of the decedent. Estate tax rates are graduated and depend on the net estate amount. 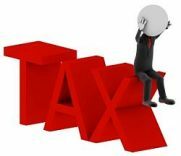 Real property may not be transferred from the decedent to his or her heirs without the filing of the estate tax return and payment of the estate tax. Non-payment of estate tax is common and this brings about many problems when the properties need to be transferred to the names of buyers. File a Notice of Death with the Bureau of Internal Revenue within two months after the date of death. This is applicable when the gross value of the estate exceeds P20,000.00. This should be filed by the executor or administrator of the estate, or any of the legal heirs. It shall be filed with the RDO where the decedent was domiciled at the time of his death. There is no specific format. Get a Tax Identification Number (TIN) for the Estate of the deceased person by using BIR Form No. 1901. Use this TIN when filing the Estate Tax Return (BIR Form No. 1801). Prepare the list of assets and liabilities of the decedent. Get the fair market values of the properties at the time of death. Prepare the supporting documents for the assets and liabilities, as well as the deductions you are going to take. You will need these for the estate tax computation and as attachments to the Estate Tax Return. Deed of Extra-Judicial Settlement of the Estate, if the estate is settled extra judicially (sample forms may be found here and here). A certified true copy of the schedule of partition of the estate and the order of the court approving the same, if applicable. Compute the net estate and estate tax. File the Estate Tax Return and pay the estate taxes. Follow the procedure for transferring real properties to the name of the heirs (this will be discussed in a separate post). Follow the procedure for cancellation of the TIN of the decedent as discussed in Section 12 of Revenue Regulations No. 7-2012. Use BIR Form No. 1905 for the cancellation of TIN. Gross estate is the value at the time of death of all property, real or personal, tangible or intangible, wherever situated. In the case of a nonresident decedent who at the time of his death was not a citizen of the Philippines, only that part of the entire gross estate which is situated in the Philippines shall be included in his taxable estate. The value of the properties shall be based on their fair market value (FMV) as of the time of death. If the property is a real property, the FMV shall be the higher between the BIR zonal valuation and FMV per tax declaration (I paraphrased this). Please also note that also included in the computation of the gross estate are interest or share in a property, transfers in contemplation of death, and revocable transfers. The proceeds of life insurance are included in the gross estate unless the beneficiary is designated as irrevocable). The amount of all bequests, legacies, devises or transfers to or for the use of the Government of the Republic of the Philippines, or any political subdivision thereof, for exclusively public purposes. Fair Market Value of the Family Home or P1 million, whichever is lower. As a condition for the exemption or deduction, said family home must have been the decedent’s family home as certified by the barangay captain of the locality. What are the Estate Tax rates? 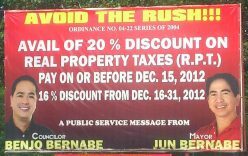 Please refer to BIR Revenue Regulations No. 2-2003 for sample computations. When is an Estate Tax return required to be filed? Not to exceed 2 years in case the estate is settled extrajudicially. The penalties shall include 25% surcharge and 20% interest per year (Under Secs. 248 and 249, respectively). If fraud is involved, the surcharge shall be 50%. You may also pay compromise penalties in lieu of imprisonment, which can be viewed at the BIR’s website through the following link: Schedule of compromise penalties. If there be no legal residence in the Philippines, with the Office of the Commissioner. The Registry of Deeds will not allow you to transfer the title of real properties of a deceased person if there is no BIR CAR. Please make sure that you have the documents as enumerated in the Checklist of Documentary Requirements (CDR) for Estate Tax, which can be found in Annex A-6 and A-6.1 of Revenue Memorandum Order (RMO) No. 15-03 (see pages 7 to 9). 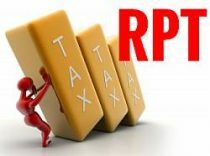 To help you determine the computation for the estate tax due, you may refer to the ONETT (One-Time Transaction) Computation Sheet, in Annex B-3 (pages 16 and 17) also of RMO No. 15-03. Please also check the sample computations in BIR RR No. 2-2003 and BIR Form No. 1801. Thank you for reading and I hope this helps you. Should you have questions, please read the estate tax-related documents I mentioned in my post, just follow the links provided. Text by Jay Castillo and Cherry Castillo. Copyright © 2015 All rights reserved. My mother died in 2008. Before she married my dad, she owned a small area of house and lot about 194sq meters in Quezon City. My father wanted to sell this property and found a buyer. As I know we have to have extrajudicial to sell this property. So the heirs are my father and 3 of us siblings. My brother passed away this July 2015. His wife and children went to the U.S. In 2004. And in the last 5 years seemed they have no contacts with them whatsoever and seemed he was disowned by his family. When he was in the hospital he signed the deed of sale but his name has a typo in spelling. Now with the Extrajudicial settlement with a deed of sale, can we just exclude his name from the contract? Or will it be more complicated now, that my brother died, to close this contract? None of the estate taxes of this property was paid yet. Can a real property be donated if the said property was mortgaged? can real property be transferred directly from decedent to buyer upon paying estate tax. or it has first to be transferred to heirs and then execute deed of sale from heirs to buyer? I hope you still read this thread. My Lolo died last Sept 2014 and we have not filed yet because we’re clueless, I was fortunate to have read your article just now and it hasn’t been 6 months so we have time to file without penalty. Anyway, how do we proceed? File first then arrange later for the division of property? Because my grandparents have always said and decided to leave their home in Manila to my mom and my uncle but there are 3 other siblings. Also, the youngest died last 2010, does that mean the wife is considered an heir as well? It’s a conjugal property and my Lola is still alive. I don’t know how to go about the extra-judicial settlement with regards to the property. DO we need to submit a waiver or affidavit that indicates the rights of the 2 children from the other siblings? How do we do that? I hope I make sense. Thank you and hoping for your enlightening response. for presentation purposes, does it necessary to deduct standard deduction of 1M even the estate is less than a million? 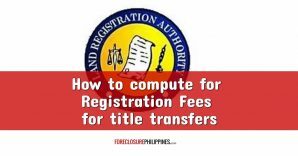 Hi Atty Cherry, do you accept consultation for real estate tax and transfer of deeds? I am planning to have our ancestral house renovated however, in order for me to get a bank or pag-ibig loan, the title should be under my name. This property is still named under my deceased grand parents and my mom and her siblings were not able to divide the property. I would like to pursue this property but not sure of my steps yet until i get this real estate tax. I really need your help. pls let me know if you accept consultation and how to reach you. Thank you so much Atty. Cherry for this very useful information. This is even more user-friendly with the terms and language used compared the the actual BIR website. My mom died too sudden last March and i have been walking through everything one day at a time… This is very helpful to me and it is much appreciated. My question is will it there be any penalties if I will be filing a notice of death after two months? I hope you can help me with this. Thanks! I am looking to buy a Tax Dec property where the owner named on the Tax Declaration is now deceased and the heirs jointly agreed to sell the land. Do I still need proof that the Estate Tax is paid? Do you have information on what the requirements are to apply for an OCT in my name? If you can direct me to a website with all the information, I would greatly appreciate it. Thank you and all the best to you and Jay! Hello Ms. Castillo. Very informative and comprehensive. I was wondering if you accept Consultation Services for Estate Tax advice? Where can I get in touch? Thank You. Hi there ! There are some things that i would like to find an answer with regards our situation. I’m hoping that you’ll be able to help me on this. It’s somehow a bit complex though. Our grandmother died around 1986-1987, she left the ancestral house and a 10 hectare-farm lot without transferring it to her heirs (my dad and his 4 other siblings, one of which is my aunt who’s a nun). I’m not sure if a notice of death has been filed. At that time, 2 of my dad’s siblings were based in U.S., and the transferring of the inheritance were not processed. Then in year 2010, my aunt who is a nun, signed a document stated that all her part in the inheritance from her mom, who is our grandmother, will be given to me and my brother. But that document were just kept by my parents without it being notarized or some sort. In year 2012, my aunt died. Then in 2013, my aunt and uncle in U.S. showed interest in selling the ancestral house and the 10 hectares lot. We had a talk about it last january, and suggested that instead of my brother and I, having a part of the inheritance, my dad willl just get 40% of each of the properties. Now i would just like to know how should we compute for the estate tax and the penalties for not filing it for almost 30 years. So that we’ll know the estimated amount that we have to pay. Thanks in advance. good day please let us know the best possible way to settle this. I have 3 other siblings and our father died when I was 5.. during that time my mom paid off our mortgage and the title was transferred to her name. However, she passed away in 2002 and we only learned about estate taxes etc recently. What is the best step to take so that the title can be transferred to my siblings and I? I’m a bit worried because we may have to pay penalties since it has been more than 10 years. I found this site very informative and useful. I have learned about real property taxes and estate taxes. I have a few questions thou and I need your advice. My father sold a part his property but it wasn’t transferred yet to the buyer. My sister is the one paying for its tax every year. Is it possible for us to buy back the proprty even if the buyer refused to sell it back. Do we need to seek legal aid to help us settle this issue. 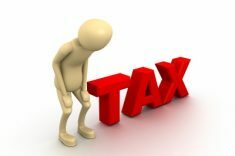 Does my sister has a right to contest what my father did as she’s the one paying taxes fof the property? Looking forward for your much appreciated advice. May I seek advise po. We bought a property kasi name to the 3 of us (My aunt, Me & my wife) then while processing it, My aunt died ng wala pa yung title, but we were able to pay taxes/fees sa BIR. When we go to the city hall, we ask on how to make it na huwag na lumabas ang name ng aunt namin, they told us to do an extra-judicial with Sale signed by the siblings (as her heirs) plus other requirements, so we did it. pero pagbalik po doon, iba na naman ang sinasabi nila. Disregard po nila ang extra judicial na pina notaryo namin, dahil dapat daw naka name muna sa aming tatlo and TITLE bago nag extra-judicial (but that was what they told us). Bakit iba-iba po ang statement nila, dami na naming nasasayang na pera dahil iba-iba ang instructions nila. If the decedent died in 1987, are the applicable compromise penalties also those prevailing at the time of death? Or will it be the most recent? 1. When processing the initial inheritance/estate/real estate taxes, upon application for this with the B. I. R., is the newspaper publication of the inheritance for a sole heir a requirement before payment of the taxes can be made or required at all at the. B. I. R.? C. Certificates of stocks for a company such as San Miguel Corporation. As I understand the. Register of Deeds and a surety bonding company to be the next institutions where the other processes and requirements would be finalized and the new titles and certificates bearing the heir’s name be released. Hoping for your prompt reply. God Bless. My mom died last december 2008. hindi ko pa napapa transfer yung land title sa name ko hanggang ngayon due to financial reasons narin. magkano kaya magiging penalty nito? its a house and lot na maliit lang naman Lot is around 80sqm. house is probably 35sqm single. I do not know kung magkano compute ng penalty nito.. Thank for your very informative article. Would you be able to help with my query please – my father died here in Australia in 2008. He had dual citizenship (Australia allows this). We have a family home in the Philippines with my brother living in it at the time of my father’s death. For purposes of calculating the estate tax deduction, can my mother claim it as the family home please? Will my mother be penalized for not filing for the estate tax return since 2008 please? How will the penalty be calculated please and what could happen if she is unable to pay please? She is only on a pension and for financial reasons she wants to sell the family home. I would really appreciate hearing from you soon. Is payment of estate tax allowed even without partition of the estate first among the heirs? 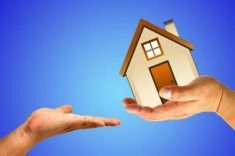 Moreover, is filing of Affidavit of Self-Adjudication and Sworn Declaration of all properties of the Estate allowed and applicable even if there are 4 heirs and not just one? Thank you. I believe this is allowed. In the meantime, the heirs will be co-owners of the property. I think that the Affidavit of Self-Adjudication applies when there is only one heir. I have not yet seen an actual Sworn declaration of all properties of the estate but I think this may be executed by the administrator or executor. Kindly confirm with your lawyer. Its complicated and don’t know where claims of Bank Deposits fall under. Time is also of the essence – we just found out after 10 years there is money in the Bank. Is there a way I can inquire by calling you? I am from the province and don’t have a land line. But I can call you by Cell Globe#. I hope everything works out. Let me know how it goes. We had a bit of a headway on my mother’s (84yrs old) claim with the Bank. We provided them with all the requirements. But we hit a snag when the Legal Dept of the Bank questioned that the documents we presented did not a have a ” Junior ” appended ( am not sure if its the right term) in my uncle’s name. The Bank said it will be to our advantage if we can locate the certificate and passbook of my uncle who died 10 years ago, single and no child and whom we have not seen for the last 30yrs for the plain reason my uncle prefers to live alone. His ” Partner ” just notified us when he died. Tough luck! I lost the Cell# of Sir Jay and I think its not posted in his profile anymore. My uncle, his wife, and 3 kids (all over 21 years old) are in the U.S. He bought a vacation house here (Cebu, Phils.) sometime in 2004. My uncle died in June this year (2012) and my aunt intends to sell the house as soon as possible. Q1. Since a Notice of Death wasn’t filed yet w/ the BIR, how much is the penalty if filed by Jan, 2013? Q2. Can my aunt (the surviving spouse) sell the property without the need for extra-judicial settlement involving her 3 children? Q3. Can this property qualify as “family dwelling” to avail of the deductions/exemptions in case of extra-judicial settlement? Sorry i missed this comment. 1. The penalty for the notice of death should be minimal, if any. 2. The surviving spouse and all her children can sell the property if all of them sign the documents and the estate tax has been paid. 3. Since they are all based in the US, don’t think the house can be considered as their family dwelling, also I understand it is only their vacation house. Hope this helps. Just want to ask on how to treat the deductions which was incurred abroad. What I’m thinking is that it is still deductible as long as you have the necessary documents to prove it. We need to convert it in Php at the time of death right? Yes, but convert at the time it was incurred (which is of course prior to death). article #1. what if the property belongs to a grandfather who has passed away years back with no estate taxes paid so far and the property hasn’t been divided yet. article #2. what if proof of said property in #1 is the paid tax declarations (no torrens title yet), how is the estate tax handled?. Perhaps you can expound on that? Also, since we are talking about estate taxes, one specific action property owners can take to alleviate the pain of having their heirs pay estate taxes is to get a basic life insurance just for the purpose of covering estate taxes. 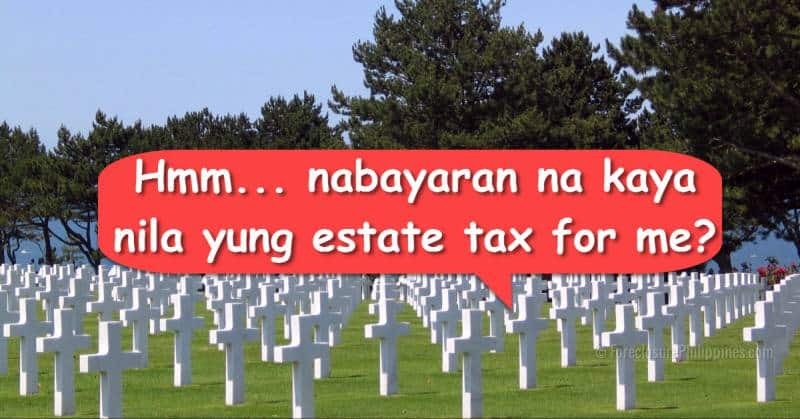 If you have property worth P10M, assuming no deductions, the estate tax would be P1.215M. A suitable life insurance policy will give cash to the heirs that can then be used to pay off that estate tax. For more info on how this works, just give me a call at 0917-572-0001. Thank you for your suggestions. My husband also told me to include penalties and examples so I will probably make a separate post since this post is too long already. thank you for a very clear discussion regarding estate tax procedures. I hope that you will include in your next discussion regarding, deaths prior to 1998 or those covered by inheritance tax. including the interpretation of the tax table for estate in a particular years. You’re welcome Sir. The data can be found in the link I provided. Kindly give me some time too to update my post.